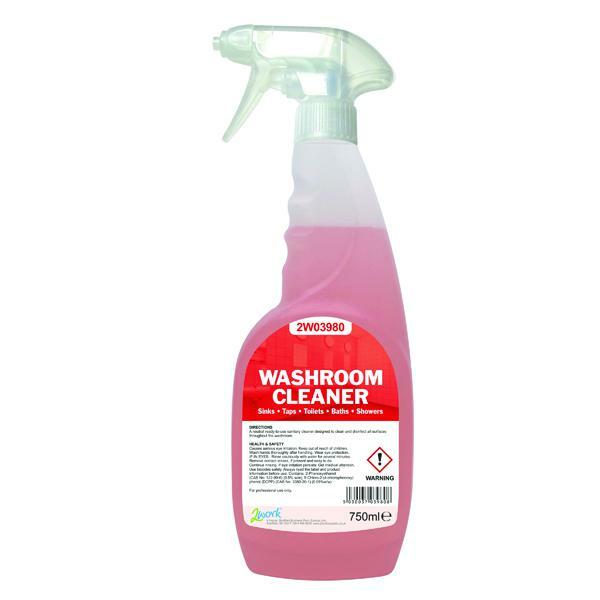 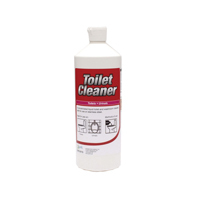 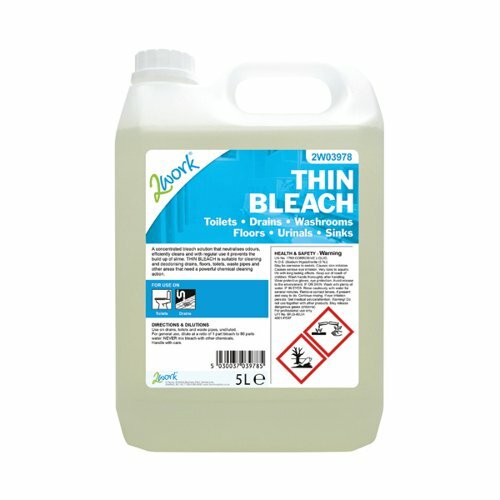 For industrial-scale cleaning, this 2Work Thin Bleach cleans thoroughly, killing germs quickly and efficiently. 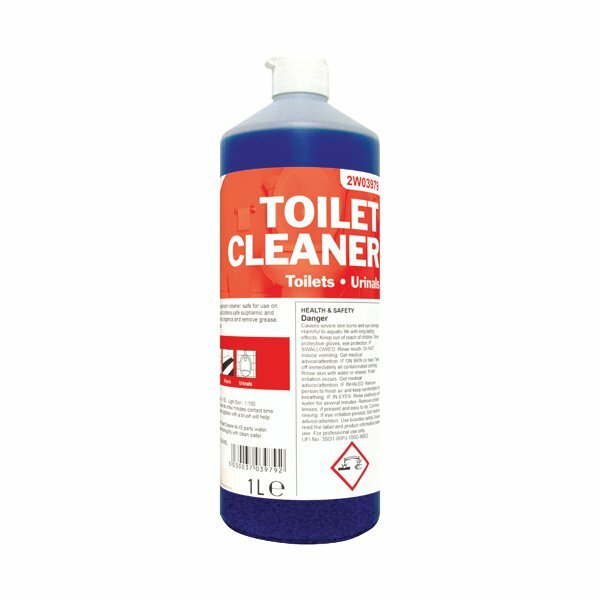 Great value and impressively effective, all you need to do is simply dilute it with water or use it neat to clean and disinfect with ease. 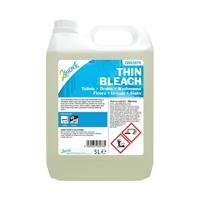 This 5-litre bleach leaves surfaces hygienic and smelling fresh.